Spellman Tiles Bathrooms and Wood Flooring in Oranmore would like to invite you to visit its showroom where you can view a wide range of wall and floor tiles, bathroom suites and shower enclosures as well as a wide range of solid, engineered and laminate flooring. Our new K2 - 20mm porcelain tile collection is an innovative and self-supporting flooring system with countless applications from homes to public areas both indoors and outdoors. 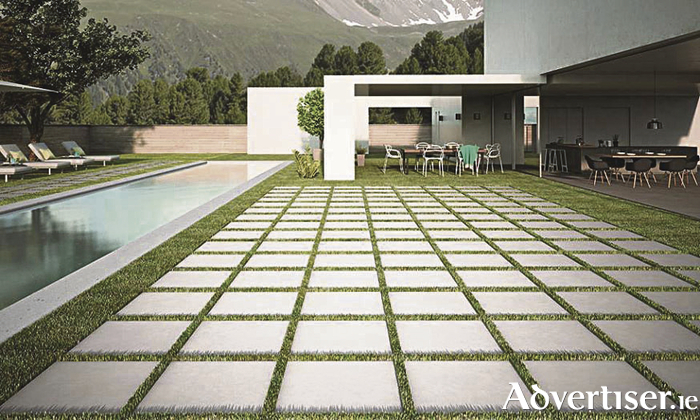 New for 2017, It offers a high degree of functionality along with its Spanish style and design.Easy and versatile to install, it can be laid dry on gravel or grass, cemented onto sub-floors and installed as a raised surface on rigid supports. The showrooms are currently being refurbished and many new lines have been added to its already extensive ranges, they are really excited to bring the expanded Belletto ranges which are also available to view on their website at www.tilesgalway.net Look them up and they can help you find what you are looking for. Spellman TBW is situated behind the Cold Move storage units on the Oranmore to Claregalway road and is open Monday to Friday from 9am to 5pm and Saturday 9.30am to 4pm.